Q. 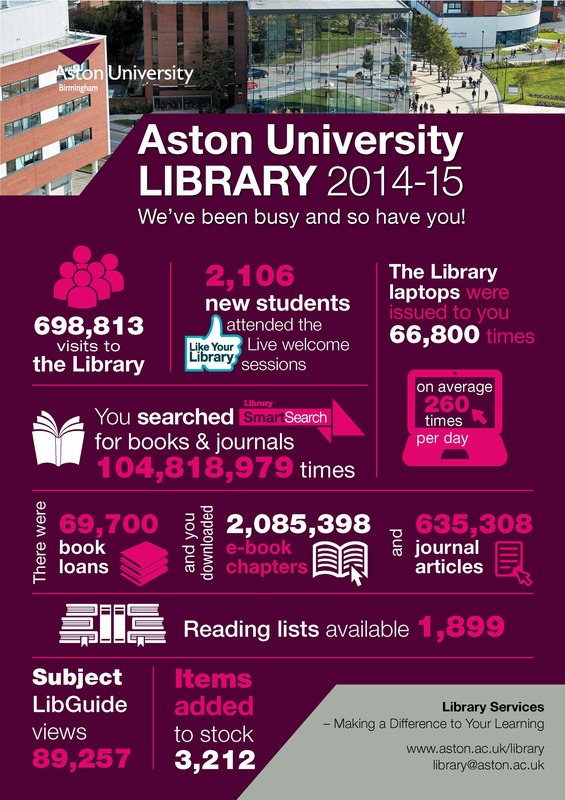 How did Aston university first organise the library and how many books do you have all together in total? The Library was designed by Sir Basil Spence, Glover and Ferguson 1972-75 and opened in 1975. In 2010 and 2013 it underwent major refurbishments. Here are some facts and figures about usage of the Library last year.